Spiritual growth sounds great, but what does it mean? There is something very grounding about trees. We understand how they grow and how dirt, seeds, water, and roots support the life and seasons of a tree. 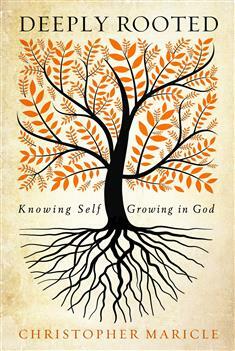 Using a tree as a metaphor, Christopher Maricle presents a model for spiritual growth that is easy to use and remember. Deeply Rooted borrows Catherine of Siena's image of the soul as a tree and categorizes it into four parts: the garden, the soil and roots of the tree, the trunk and essence, and the fruits. The reader explores self-knowledge and knowledge of God and how these two work together to help the soul grow.